Vicky Holden and Father John O'Malley find themselves on opposite sides of an investigation. When Arapaho Ned Windsong is shot to death, his fiancee Marcy is the only witness. Even though she identifies two Arapaho troublemakers, Ned's family clings to the belief that Marcy herself was responsible. Convinced of Marcy's innocence, Vicki agrees to represent the outsider- and finds herself at odds with her own people. She also finds herself at odds with Father John, because the mission priest has glimpsed something in the beautiful girl that shakes him to his core. And when the men Marcy has accused of murdering her fiance are found dead in an abandoned barn, Vicky and Father John realize they are caught in a web of lies and deceit woven by a master. 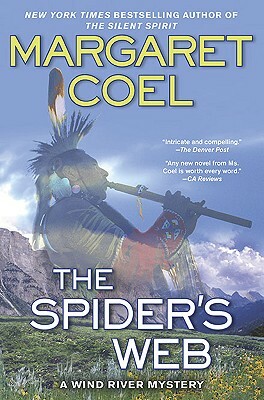 Margaret Coel is the New York Times bestselling, award-winning author of The Thunder Keeper, The Spirit Woman, The Lost Bird, The Story Teller, The Dream Stalker, The Ghost Walker, The Eagle Catcher, and several works of nonfiction. She has also authored many articles on the people and places of the American West. Her work has won national and regional awards. Her first John O'Malley mystery, The Eagle Catcher, was a national bestseller, garnering excellent reviews from the Denver Post, Tony Hillerman, Jean Hager, Loren D. Estleman, Stephen White, Earlene Fowler, Ann Ripley and other top writers in the field. A native of Colorado, she resides in Boulder.